I worked pretty hard on this episode and I didn’t want it just sitting on my HDD being all completed so, take it. But DON’T expect this speed all the time! Megaranger needs my love too. Anyways, this episode is pretty awesome, it’s wacky yet serious and I love the camera angles they use to make the kid look tiny when he gets yelled at. Makes the episode title actually mean something. 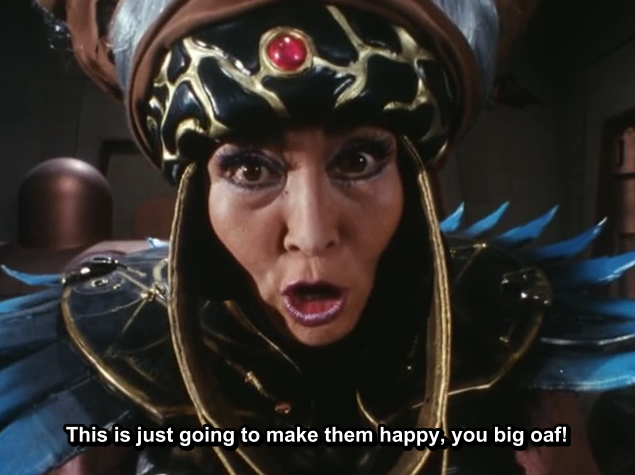 This episode has a bit of everything: Minature models, Zyurangers carjacking someone, Bandora being evil, a scary Mom, a child causing worldwide chaos, and a weird fairy who sculpts things out of clay (Including the rare DX Black and Gold DaiZyuJin minus the Gold.) Oh, and it’s also the debut of the DaiZyuJin theme and in typical Zyu fashion it’s an incredibly random episode to play it in. Just go watch it, like now! It’s good! Last edited by virushopper; 07-26-2014 at 04:51 AM.